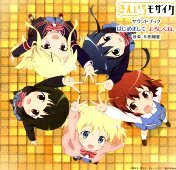 This CD contains many tracks of BGM and a few vocal tracks for the TV anime Kin-Iro Mosaic (きんいろモザイク). 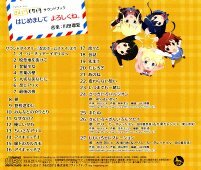 Songs by the seiyuu group Rhodanthe* and its members. Rhodanthe is made up of Nishi Asuka, Touyama Nao, Taneda Risa, Tanaka Manami, and Uchiyama Yumi.